You could give Dad yet another tie this Father’s Day. You could give him a “World’s Greatest Pop” coffee mug. You could give him the latest new GPS or cordless power drill, a subscription to National Geographic or the Cheese of the Month Club, a battery-operated barbecue grill brush, or a monogrammed golf club head cover. Before you plunk down money on any or all of these gift ideas, however, here’s one more: you could instead show Dad how much he means to you by giving him a book — especially one of our featured titles celebrating fathers and fatherhood. to roll his shirtsleeves like donuts. my arms down to my wrists. if I didn’t tie a rope around my waist. They’ll fit me one day. tugboats dragging the ships of his shoes. smiles, and waves me over. and kneel in his shadow. His last lesson in life was how to leave it. In this as in all else, I was his student. I thought we’d have three months. That was the estimate his doctor gave me, on a rushed 7 a.m. cell-phone call to announce the suddenly discovered, incurable gallbladder cancer in early spring 2004. That was the time I began to count, and count on. I was scrambling, but at least, being with him was something I could do. I wanted to do it “right.” He was in no pain, and under minimal medication. His mind was clear, even if his body had betrayed him. And so I wanted to have chances to reflect with this man — my lifelong friend and teacher — on what it all meant, how he felt, the state of his health and the state of his faith in medicine, family, and, most importantly, God. But as it turned out, we had less than three weeks. And then he was gone. And that was his last lesson to me, shown rather than said: make sure you develop a type of rugged faith, a religious belief you hold credible and true, because you never know when that faith will need to withstand the limits of life itself. Don’t waste time indulging in easy or sentimental, overemotional expressions of religious conviction when those sentiments are bound to fail as you barely have the energy to breathe, and all you can count on is who you are, and those (ideally, including God himself ) who love you for that. It was great teaching, a fitting, final lesson in life and faith. It was not, however, his only guidance for me. My father had blessed me with important lessons earlier in my life as well, as I came to recall a few weeks after his death. These arose from a correspondence between us at the time I began college, almost forty years earlier. As a freshman at Harvard University, I had found myself with many predictable questions about life and belief. Like my father’s journey east to Princeton Seminary a generation earlier, I was suddenly far away from my Midwestern home, on the “big stage” of a legendary American university for the first time, insecure and very much exposed to a staggering array of sophisticated new people, words and thoughts, academic ideals (and academic cynicism too). All at once I was unsure of many things. I had always been close to both of my parents, and still spoke with them often by telephone. Yet the subject of religion, to me, somehow called for a more structured discussion. Hence, on matters of faith, I usually wrote to my father and hoped for his responsive counsel by return mail. I was not disappointed. My father readily embraced this opportunity to open what he clearly felt to be a long-overdue discussion. He wrote back, and kept writing — as did I. At the time, the resulting correspondence achieved its desired effect. I eagerly read what he had to say on the subjects of God, Christ, Christianity, faith, and good and evil, and found his words to be both affirming and helpful. Fortunately, despite many moves over many ensuing years, I managed to save our “honest exchange” of letters and thoughts on those several topics of faith I had implored him to address. I hadn’t thought about those letters, however, for a long time. In fact, it was not until I found myself, at my mother’s insistence, as the new custodian of my late father’s many books and papers (along with his desk, bookcases, church photographs, and virtually all the other contents of his study) that I recalled this particular correspondence. Joyous in my rediscovery, I saw anew how much my father had said — and in a real sense, still had to say — about life and faith. Click to enjoy a guest post by David Lawther Johnson or to read about some of the excellent endorsements his book has already received. 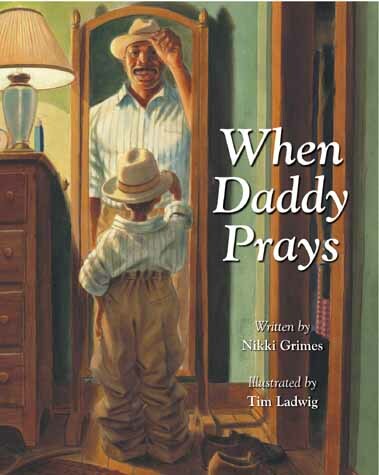 Click the banner below to see the rest of our featured collection of books for Father’s Day.